HK 9X Full auto trigger packs converted to semi-auto with trigger job, 4.75 lbs pull with a very smooth, short clean break,trigger slack takeup and over travel eliminated $169. 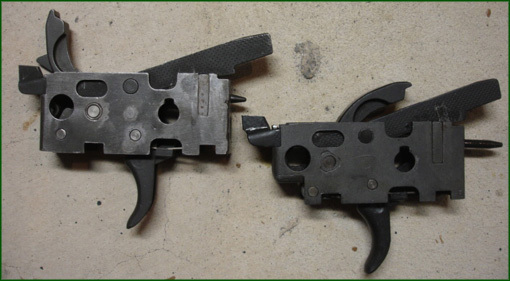 These will fit any HK, these only come with a G3 .308 ejector and hammer spring. 9mm and .223 ejectors or hammer springs can be obtained from suppliers on the links page. For fastest service, I can take credit cards. Trigger pack will ship out usually within 24 hours, Call me at 719-648-5725 to place an order.